The financial aspects of divorce proceedings are many and may have a long term impact on you and your family’s future. 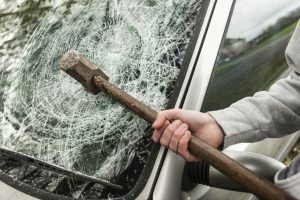 While individuals going into a divorce often expect to divide assets such as owned properties and owned businesses, the division of debt is often forgotten. Within New Jersey equitable distribution statutes, debts and other liabilities are treated very similarly to assets. In other words, divorcing couples are responsible for finding a fair way to divide their marital debt as part of their divorce settlement. 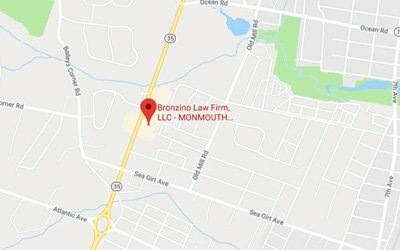 At The Bronzino Law Firm, our equitable division of debt legal team has extensive experience helping our Ocean and Monmouth County clients find amicable resolutions to their debt division disputes across towns including Toms River, Brick, Wall, Jackson, Neptune, Asbury Park, Manasquan, Sea Girt, and all of Eastern New Jersey. Our smaller firm size allows us to give each of our clients the individual attention they need and deserve. We believe that keeping clients informed and involved throughout the debt division process leads to more beneficial outcomes for all parties. Call our office today for a free and confidential consultation with a member of our qualified and experienced legal team regarding your division of debt or any other divorce or family law matter. Debt is considered either marital or separate pursuant to equitable distribution laws. “Marital” debts must be divided equitably, or fairly, which does not necessarily require an even division. “Separate” debts are not eligible for division through your settlement agreement. As a very high level rule: debts accrued during a marriage may be considered marital while debts accrued before or after a marriage may be considered separate. There are a litany of exceptions and complicating factors to consider as well. For example, if a credit card debt existed before a marriage, but was then contributed to and compounded by both spouses during a marriage, that debt may be considered marital. Only a consultation with a Wall debt division attorney will allow you to get a solid understanding of your unique legal situation. How Can I Resolve Debt Issues During Divorce in Ocean County? Paying off your debts entirely – As addressed in the previous section, this is frequently the ideal outcome for both parties. It provides a clean slate and no hang-ups after a divorce settlement is reached. Using marital assets to pay off debts – Many families simply do not have the funds to pay off existing debts. In these cases, it may be possible to sell marital assets such as owned real estate to eliminate outstanding debt. 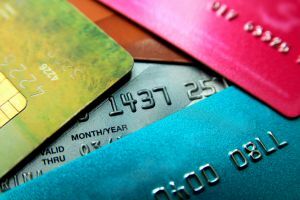 Separating Debts into new accounts – If there is no way to reasonably pay off your debt, it is wise to split your existing debt into new, separately held accounts. In this way, you will be responsible for paying your share and your ex spouse will be responsible for paying their share with no overlap. Declare Bankruptcy – For some individuals, declaring chapter 7 bankruptcy can be a smart financial decision in the long run. Debt division and divorce attorney Peter J. Bronzino has extensive experience helping clients navigate the waters of divorce. 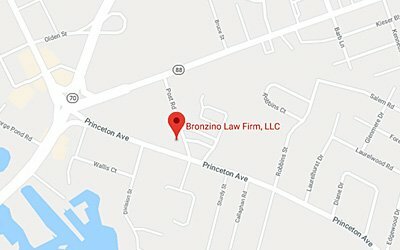 Our firm takes pride in our personalized legal service, and we aim to work closely with each one of our divorce clients from local Ocean and Monmouth County communities including Brick, Toms River, Point Pleasant, Jackson, Wall, Spring Lake, Neptune, Asbury Park, and across Eastern New Jersey. Allow us to better understand your unique needs and concerns when it comes to the division of your assets and debt during divorce so that we can provide straightforward and candid assessments of your legal standing. If you or a loved one has any questions regarding the equitable division of their debt or other financial assets during divorce, please contact us online or through either our Sea Girt office or our Brick, NJ office by calling (732) 812-3102 today for a free and confidential consultation.